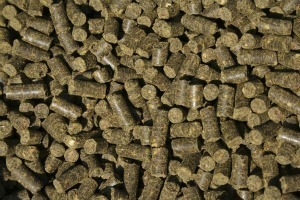 “I see you as the supply side,” Henry Pease, in biofuels development for RWE Supply & Trading, told a crowd of about 200 people at the North American Biomass Pellet Export Conference, held in New Orleans this week and organized for the first time by the U.S. Industrial Pellet Association. Speaking from the end user’s perspective, Pease said Europe’s utilities will buy what the U.S. producers manufacture. “We can commit to buying what you supply,” he said. “But we can’t trust you’ll make it,” he said later, drawing laughter from the crowd. The export conference wouldn’t have been possible last year, Pease said, because there was no solid industrial pellet infrastructure in the U.S. Today, however, a number of pellet companies are working the market, he added. “The U.S. is on the map in a way that it wasn’t before.” He cautioned, though, that differences will arise between what the European customers want and what the U.S. suppliers want in the contracts. Still, biomass is expected to play a sizeable role in the tremendous renewable energy growth anticipated in Europe, said fellow speaker Nicolas Denis, of McKinsey Consulting. “Most but not all European regions theoretically have sufficient biomass to fulfill their mandates domestically,” he said. North America and Brazil are best situated to supply Europe’s growing demand. But with globalization of the biomass industry, issues such as sustainability arise, Denis said. Utilities do not want to compete with each other in regards to sustainability, Pease said. Instead, a Europe-wide sustainability scheme and credible certification is crucial. He added that the market needs to be three steps ahead of nongovernmental organizations, as well as governments, pointing out by requesting a show of hands that no NGOs or government representatives were present at the event. The U.K. is working on a sustainability scheme, Pease said, touching on the country’s Renewables Banding Obligation, which is expected to come out with new support levels past 2013 in the next few days. Holland, he added, is also expected to enact new legislation mandating cofiring, although the regulations aren’t there yet. Not surprisingly, Danish Oil and Natural Gas (DONG) Energy had a presence at the show, as 60 percent of all energy consumption last year in Denmark came from biomass. But the demand there is still growing and resources in the small country cannot support it, said Niels Bojer Jørgensen, of DONG Energy. In 2009, 90 percent of biomass consumption was imported, he said, from the Baltics, North America and Europe. “I think we’re in all markets,” he said. Although the Baltics represent an ideal location to supply all Denmark’s biomass needs, icy waters during Denmark’s prime biomass use months can complicate the supply chain, he said. For producers in the Baltics, prime markets include the U.K., Scandinavia, and the Netherlands and Belgium, said Simon Rodian Christensen, principal for commodity broker Copenhagen Merchants Group. Different buyers have different product parameters, he said, and even color can be a significant aspect in some residential markets. “As a producer, you should try to meet and understand all the specs possible,” he told the conference attendees. The roundtable made clear the potential U.S. producers have to enter global markets, but also cautioned them of what to expect and what others will expect of them. “We are going to hold you accountable for delivering on your promise,” Pease said.